If your Gluteus maximus: Tibial Head (GM:TH) is weak, what kinds of performance and health issues can you get? It’s a significant factor for iliotibial band syndrome, hip bursitis, fall prevention for seniors, lateral knee protection, hip arthritis prevention, contributes to pelvic tilt control and lots more. Let’s look at GM:TH anatomy, actions, measurement methods along with the implications weak GM:TH strength can have on your athletic performance and health. The Gluteus Maximus (GM) is the largest muscle in the human body and makes the largest contribution towards shaping the buttocks. It originates along the posterior (back) and lateral portion of the ilium of the pelvis between the iliac crest and the posterior gluteal line. It spits into two portions that insert into two separate areas. 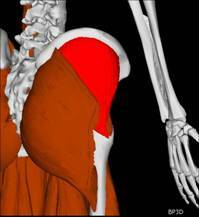 The deeper portion of the muscle inserts into the gluteal tuberosity of the femur. The other portion of the gluteus maximus which this post will be dealing with, inserts into the broad and flat iliotibial band. From there, the iliotibial band runs down the lateral (outside) of the thigh, crosses the knee and inserts into the lateral tibia, just below the large knobby tibial condyle. Note: The two components of the GM divide into two distinctly different insertions and have significantly different functions as well as clinical implications. I will be identifying each component of the muscle with different names (GM Femoral Head & GM Tibial Head) even though this nomenclature distinction is not commonly found in the literature. 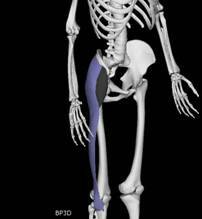 The other muscle to attach into the iliotibial band is the tensor fascia latae (TFL) resulting in a ‘Y’ shape. The GM:TH forms one arm of the Y while the tensor fascia latae forms the other arm of the Y. The iliotibial band forms the leg of the Y. If both the GM:TH and the TFL work simultaneously, the GM:TH actions of extension and external rotation of the thigh will be cancelled out by the opposite actions of the TFL, resulting in straight abduction of the thigh. 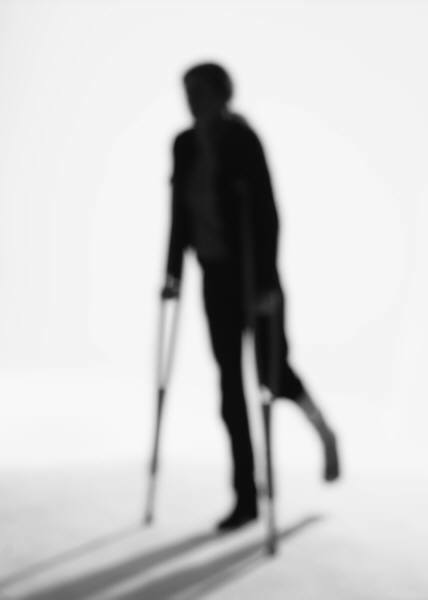 Weakness in the GM:TH can be determined with manual muscle strength testing, careful observation of movement during walking, climbing, bending, thigh abduction and other tests. Supporting information can be gained through a careful history as well as physical examination for neurological, vascular and orthopedic signs. Detailed measurement of GM:TH muscle strength are available with specialized equipment such as tensiometers and isokinetic dynamometers when required for insurance purposes, research or in advanced cases. Athletic performance issues related to weakness of this muscle will be dependent on if it is working alone or in a joint effort with another muscle. When working alone, the action will be a compound extension, abduction and external rotation of the thigh. When working with one or more other muscles, you can obtain any of these three motions alone. The classic athletic motion using this muscle would be the martial arts backward diagonal kick. Any activity that include running or jumping forward on the diagonal to the opposite side will use this muscle extensively. Less commonly, climbing hillsides, roofs or bleachers on a diagonal will utilize this muscle. Thigh Abduction – When used in conjunction with the TFL, the GM:TH will accelerate the thigh into straight aBduction (lifting the leg to the side). This combination of muscles will also be used to decelerate the thigh at the completion of doing aDduction. Common athletic motions utilizing this action would include: straight sideways shuffle motions, side soccer kicks or straddle jumps as well as decelerating the swing through phase of side crossover motions. Thigh Extension – When used in conjunction with the GM: femoral head or hamstrings, extension of the thigh will result. This combination of muscles will also decelerate thigh flexion. When the thigh is relatively stable (i.e. when standing or sitting), this muscle will also rotate the pelvis posteriorly to help flatten the low back. This motion is used extensively in almost any activity that involves forward propulsion – running, bicycling, climbing or jumping. It is also used when the trunk is rising from a flexed position (picking something off the floor or jumping from a coiled position). Since there are other substantial muscles involved in these motions, weakness of the GM:TH may not be immediately apparent Careful assessment of each of these components can give vital clues to which of these muscles is the weak link that would give you the best returns from focused exercise attention. Thigh External Rotation – The GM:TH will work with the posterior fibers of the gluteus medius and a few other small muscles in the pelvis to accelerate external rotation of the thigh. This combination will also rotate the trunk in the opposite direction. 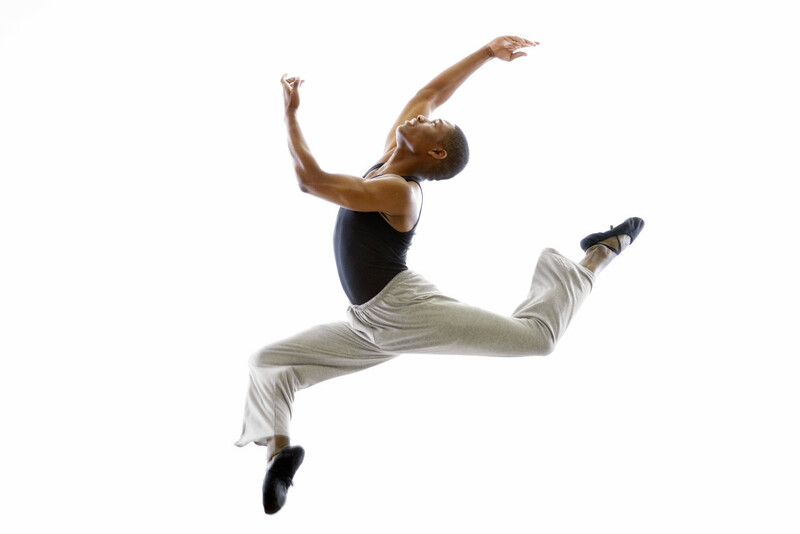 This combination of muscles will also decelerate the opposite motion. i.e. The GM:TH will decelerate internal rotation at the end of your intended movement. Athletic motions utilizing this motion would include: the common activity of turning the leg outward in preparation for a change of direction when the limb is non-weight-bearing during walking or running. This muscle group would also be involved in turning the trunk in the opposite direction to alter course when weight bearing. 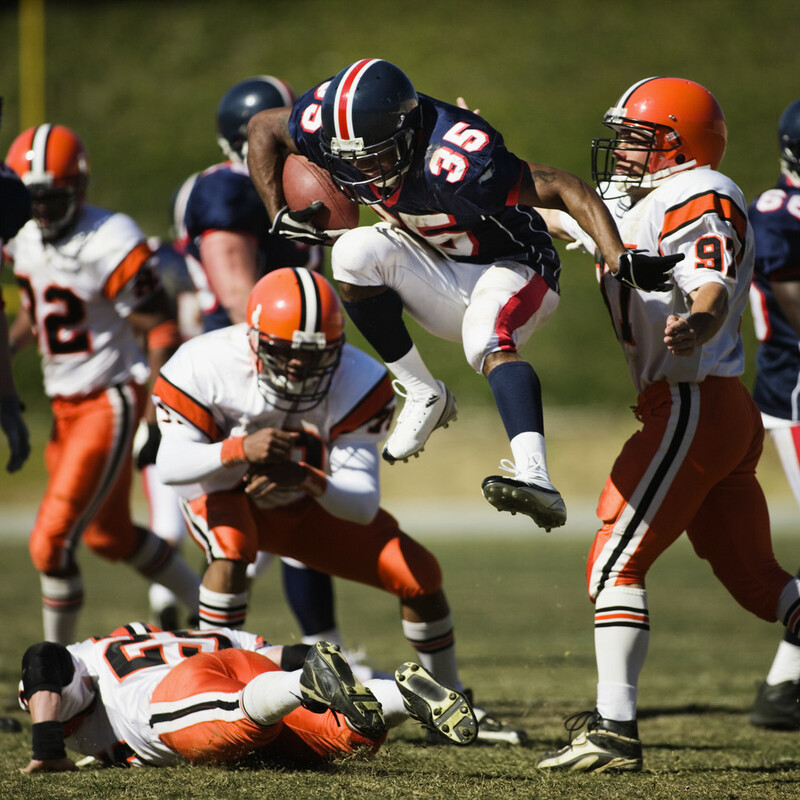 Many agility maneuvers will utilize this action which could be easily applied during obstacle course runs, avoiding tackles in football changes in direction for soccer, volleyball, basketball, etc. Injury & Disease Susceptibility – In addition to performance degradation, athletes with weak GM:TH will be susceptible to increased rates of injury due to knee and hip imbalance and instability. Should these imbalances be of sufficient severity or persist for a long enough period of time, diseases from biomechanical complications can result. Iliotibial band Syndrome – This syndrome is the result of excess friction, irritation and damage on the distal band that is very common among distance runners. Among people who run the same number of miles on a weekly basis, only a percentage of people will get this syndrome indicating that additional factors are involved besides distances run. One factor which make a person more prone to developing this syndrome is and imbalance of the muscles controlling the knee or the iliotibial band. With increased imbalances of the knee, the joint will not remain centered properly putting excess strain in one or more directions. Imbalances also can lead to excess motion of the knee-joint with each step, increasing the amount of friction and damage on the band. 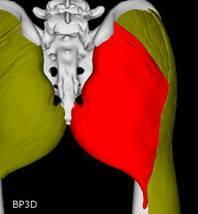 Hip bursitis – The hip has a number of different bursa’s around the joint. 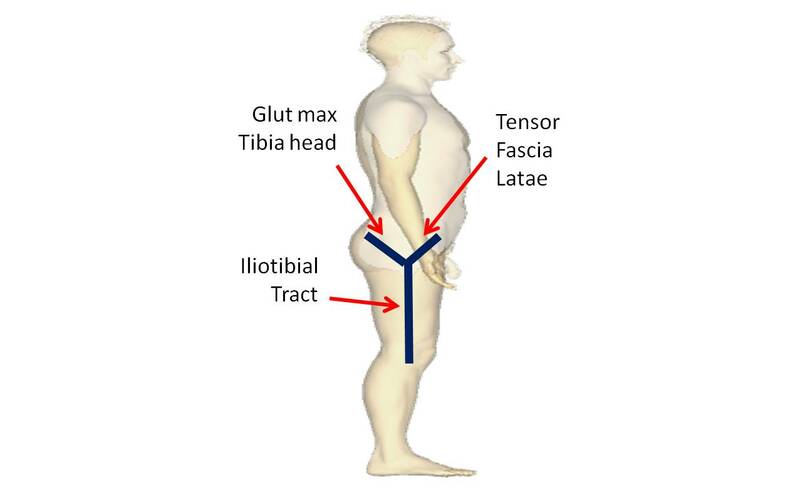 Similar to iliotibial band syndrome, should the muscles around the hip become imbalanced, excess strain or motion will place increased friction on the bursa’s, increasing their rate of injury. Should the damage to the bursa’s happen faster than the tissues be repaired, inflammation and eventual failure result. For example, people, with a weak GM:TH, will experience an increased amount of dip in their pelvis on the unsupported side during the one-legged stance phase of walking. This results in the bursa overlying the hip bone to experience double, triple or more increased rates of rubbing and friction than when all the muscles supporting one-legged stance are strong. Fall prevention for seniors – The ability to maintain balance is dependent on many factors. One of them is having adequate strength to adapt to the environment fast enough to prevent falling. The greater the strength and balance of all of the postural muscles the better the capability will be to adapt to an unexpected rock underfoot or the running child without falling. 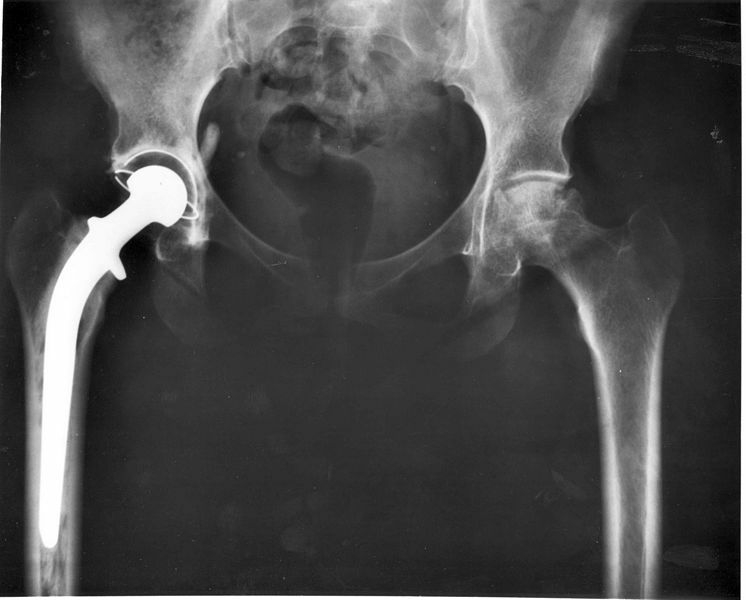 Hip arthritis prevention – If the muscles which control the hip-joint become imbalanced, the femoral head, the ball which sits within the hip socket, will put increased pressure on one side or another. 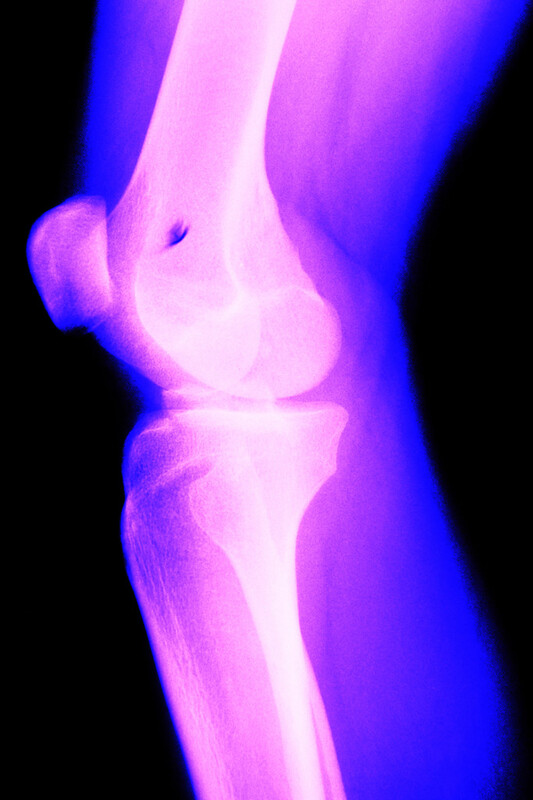 The increased pressure will put an accelerated degree of tissue turnover on the joint surface. The greater the degree of muscle imbalance, the more pressure imbalance will be on the articular surfaces and the greater the rate of tissue damage will be. Should this persist for a long enough period of time, the cartilage will be worn away and direct bone on bone contact will happen. This eventually leads to bone erosion, arthritic proliferation and joint degeneration. Pelvic tilt control – The GM:TH is one of the major muscles controlling the degree of pelvic tilt. Weakness of this muscle will contribute to a pelvis with an increased tilt forward which will have ramifications up the kinetic chain. This will contribute to causing an increased curve forward in the low back (or hyperlordosis). This increased arch in the low back will put the low back muscles at a mechanical disadvantage, increasing their likelihood of receiving damage or a lumbar strain. The key step for learning if you or your family have a weakness of the GM:TH is getting it tested. You can also learn how to do manual muscle strength testing through seminars and online through the DxF. Next Next post: What is your vitamin D status this flu season?